The Shepherd's Crown by Terry Pratchett. This is the final of the Discworld books, being the final book Terry Pratchett finished before his death earlier this year. 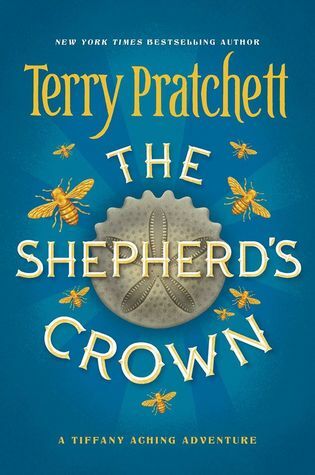 I've read and loved all of the wonderful stories about Discworld and was eager to read The Shepherd's Crown when it was finally published, and I was lucky enough to be the first person to check it out of the library. I was already sobbing within the first 30 pages, and I am feeling conflicted as I am nearing the end of the book because I want to know how it ends, but I'm not sure if I'm really ready for it all to end. Sparkling water. I love this stuff! I started drinking sparkling water when I gave up soda because I found that the thing I missed most about soda was the fizziness. 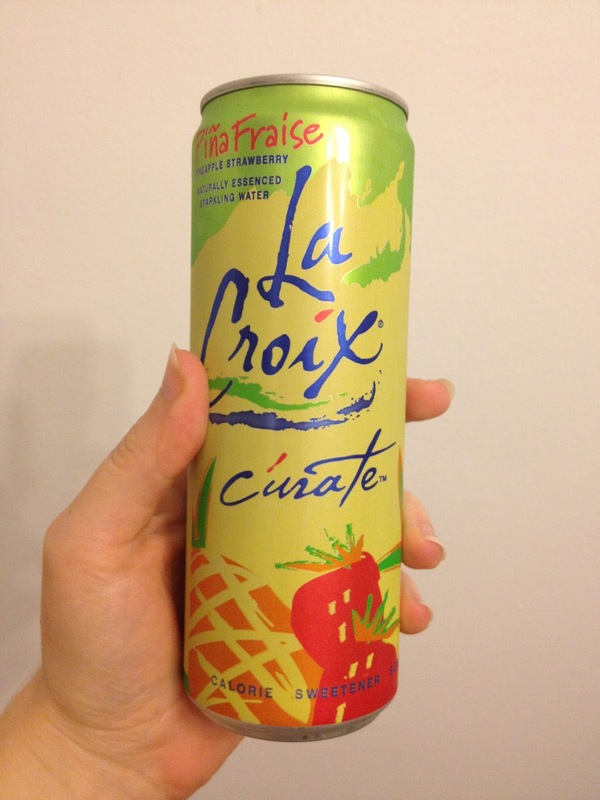 My current favorite is La Croix's Pineapple Strawberry flavor, which I found on sale recently, so I stocked up. Chick's Night. I have made it a point to attend Chick's Night at Fleet Feet's Lincoln Square Location as often as possible. My work schedule doesn't always allow it, but I've been lucky enough to be able to attend on a fairly consistent basis in the last couple of months. It is great being able to run with a group of awesome ladies every Wednesday night. Chick's Night is a women's fun run held at Fleet Feet each week (the different locations have different days of the week - I run out of Lincoln Square, which has Chick's Night on Wednesday nights). You log your miles after each Chick's Night run, and as you rack up the miles, you earn pretty sweet gear. This week I earned my long sleeve shirt by completing a total of 100 miles run with Chick's Night. Barnana snacks. I found these in Whole Foods last week, and I went back and bought two more bags after trying them. 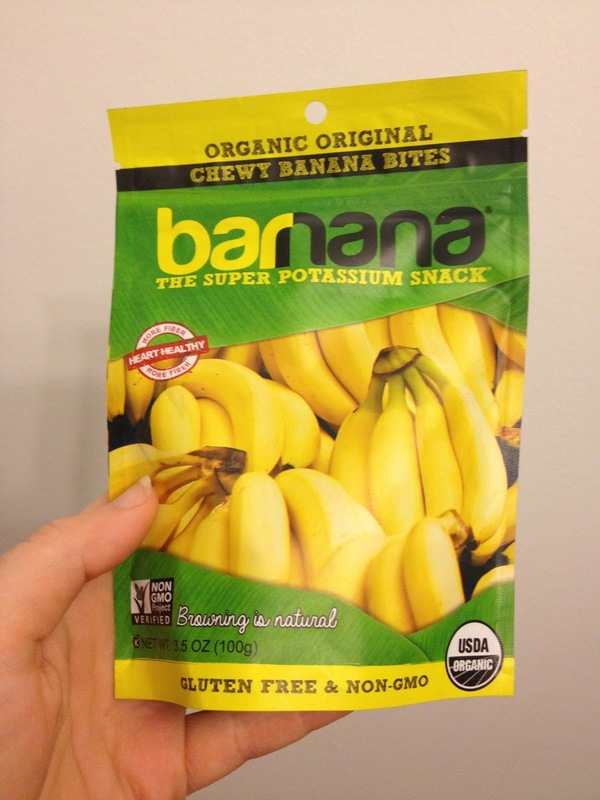 They are little chewy morsels of dried banana, sort of like banana jerky. The look strange (little brown lumps), but they taste amazing (as long as you like bananas, which I do) and help satisfy my sweet tooth. I have discovered that I need to be careful and portion each bag out into individual portion sizes. Otherwise, I end up eating the entire bag in one sitting.